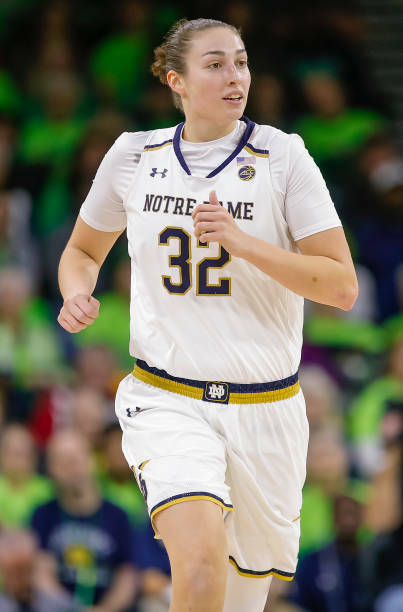 SOUTH BEND, Ind.— The top-seeded and defending national champions Notre Dame Fighting Irish (31-3) had no problems holding off the 16th-seeded Bethune-Cookman Wildcats (21-11) in a 92-50 route in the opening round of the women’s NCAA tournament at the Purcell Pavilion. Bethune-Cookman’s road to its tournament debut was capped off by a 57-45 win over Norfolk State to secure the Mid-Eastern Athletic Conference title for the first time since 1984, when the conference did not receive an automatic bid. After winning the opening tip, Notre Dame’s Jessica Shepard drove in for an easy layup to open the scoring five seconds in. The Irish never looked back from the tip, leading for 39:55 of the game as Shepard’s 22 points highlighted the barrage. The top-seeded Fighting Irish had no problems getting their offense to fire on all cylinders. The Irish closed the opening quarter on a 18-5 run, taking a 29-12 lead into the second quarter. From there, the Irish continued to dominate the Wildcats for the remainder of the contest. Throughout the game, Notre Dame managed to shoot 54.5 percent from the floor and 83.3 percent from the free-throw line. Notre Dame may be the hottest offensive team in the country as it has eclipsed the 90-point mark in nine of the last 10 games. The lone outlier? An 89-point performance against Duke on Feb. 21. Shepard carried a double-double into the halftime break with 12 points and 10 rebounds over the first twenty minutes. The 6-foot-4 senior finished the contest with 22 points and 13 rebounds. Brianna Turner also finished just one rebound short of a double-double, contributing 19 points in addition to the nine rebounds. Bethune-Cookman was led by Angel Golden, who poured in 25 points for the Wildcats. Amaya Scott snagged 12 rebounds to lead the team, while also contributing six points. As she did last March, Arike Ogunbowale contributed well for Notre Dame on both sides of the basketball. Notre Dame’s all-time leading scorer finished with 23 points, four assists, and three steals. Notre Dame will move on to play the winner of the No. 8 seed Central Michigan and No. 9 seed Michigan State on Monday (Time TBD).